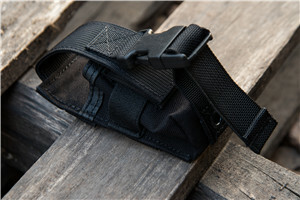 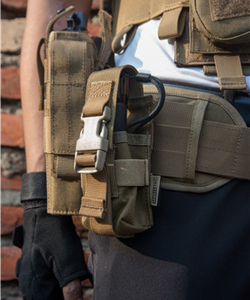 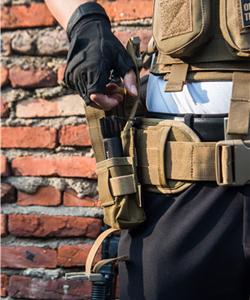 Keep your flashlight handy and secure with Luger Tactical MOLLE Flashlight Holster. 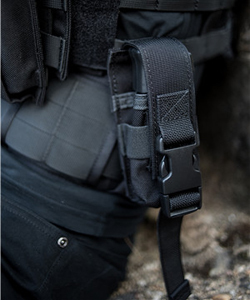 It's expandable and holds most tactical flashlights with heavy duty webbing and an elastic band around the middle for extra protection. 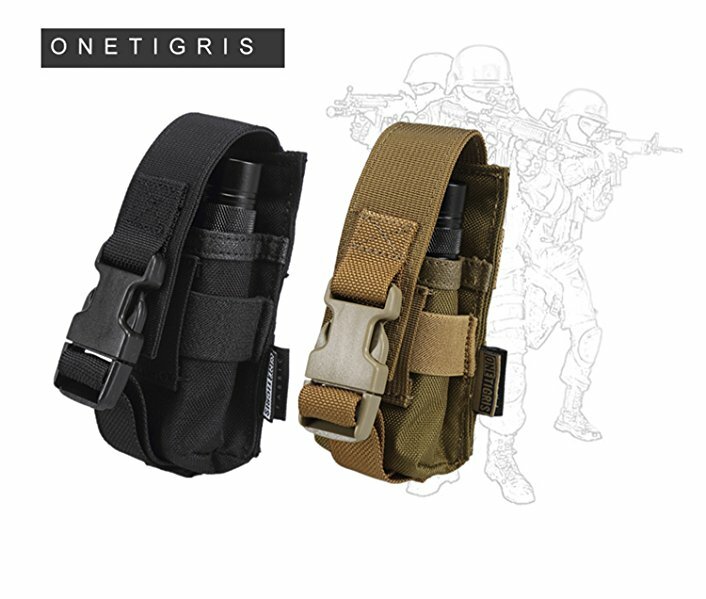 Waterproof, highly resistant, compatible with MOLLE systems, and easily snaps on to backpacks. 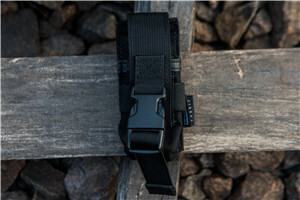 When the sun goes down, you know you have your light ready.